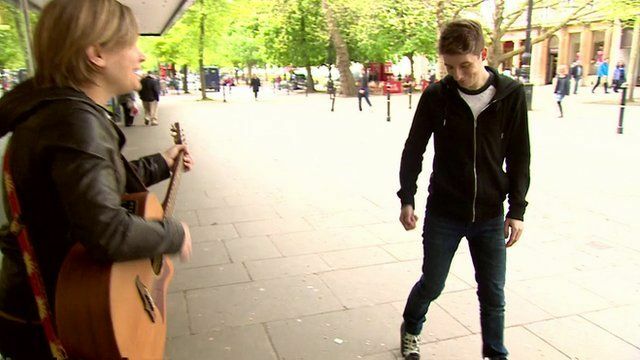 One man's bid to make kindness cool Jump to media player BBC News hears from a man carrying out a daily random act of kindness or 'RAK Nomination'. Neknomination: Out of control Jump to media player #BBCtrending traces the origins of #Neknomination, taking a look at how the social drinking game spiralled out of control. The dangers of Neknominate Jump to media player Prof Mark Bellis from the UK Faculty of Public Health spoke to BBC Breakfast's Naga Munchetty and Charlie Stayt about the dangers of the drinking game Neknominate which has been linked to several deaths. Neknomination shows alcohol 'culture' Jump to media player Professor Mark Bellis discusses the online drinking game Neknomination, which is being blamed for the death of a second man in the UK. Dad's plea after 'drinking game' death Jump to media player The family of a teenager whose body was found in a river in the Republic of Ireland has appealed to people not to take part in an internet drinking game. Drinking game page stops after death Jump to media player A Northern Ireland-based social media page sharing videos of an internet drinking game is to be discontinued after the death of an Irish teenager. Drinking game 'form of bullying' Jump to media player The brother of a man who died after playing a drinking game known as 'NekNomination' has been speaking about the family's tragedy. Death link to web drink game probed Jump to media player Links with the Neknominate online drinking game are being investigated by police who are looking into the sudden death of a Cardiff man. BBC News has been hearing from the man behind 'RAK Nomination' - the act of carrying out random acts of kindness. Luke Cameron got fed up with drunken teenagers filming themselves in so-called 'Neknomination' games. Jon Kay reports from Gloucestershire.